Artificial corn made of the high-quality material can be a great decoration for house, hotel, party, restaurant, fruit or vegetable shop. 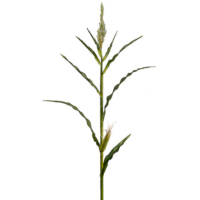 If you want to put something different in your food workplace, our fake corns can help you do so. These are made of the high-quality plastic material that grabs the visitor attention. These are also perfect for festivals, Parties, Fencing, Sheds, Hanging Baskets, Floral tributes, and Art. These realistic looking artificial corns have a shiny look to them like real corn and are the same size real corn would be. 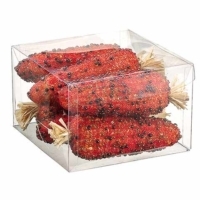 These are miniature decorative corn specially offered by AmazingProduce.com that helps you to add a natural look to your workplace or home. These corns are like cooked and come in a set so, that you can put them into the basket to put on your dining, available at very affordable and competitive price.